Be sure to combine soil from a few places in your garden before sending. I’ve written a lot here about the importance of using soil testing labs in order to determine which organic fertilizers to use. Otherwise, you’re stabbing in the dark. But I haven’t actually told you which testing lab I use. While it may be tempting to drive a sample over to your local soil lab, it’s probably not the best option. Right now, most soil testing labs aren’t doing a great job. They’re still stuck in the same chemical mindset of soil management that the conventional agriculture colleges are teaching. I don’t believe for a second the nonsense that plants only take up nutrients in ionic form. I don’t want to concern myself primarily with N-P-K. I don’t believe the strong acids they use as extractants are indicative of what’s actually going on in my soil. I don’t want to make soil decisions based on pH. I’m obviously not interested in using chemical fertilizers, nor organic fertilizer recommendations based on the chemical paradigm. I don’t think the soil is a lifeless, inert medium. I could go on, but enough ranting, right? Let’s get to the good stuff. I’ve been strongly influenced by the testing methods developed by Dr. William A. Albrecht and Dr. Carey Reams. Consequently, I only use soil labs that are using at least one (if not both) of these methods, or that have at least learned and acknowledged the methods, even if they decide to modify them for good reasons. If the folks running a soil lab have never heard of these methods, I’m assuming they aren’t doing their research – that they’re coming from a chemical agriculture paradigm and haven’t learned anything other than they were taught. So I want labs that do at least base saturation testing, possibly Lamotte testing, and further, labs that make biological or organic recommendations first. “Biological” in this context means that they may suggest certain synthetic fertilizers in order to balance the system and create a healthy, sustainable soil environment, but not the harmful kinds of fertilizers being commonly used today such as potassium chloride and triplesuperphosphate. Below are my two favorite labs. These labs are doing the kind of tests that I believe are most useful. Current prices are $50-$75, plus you have to ship 2 cups of soil there, but it’s worth it. You can use another soil lab, just make sure they do Albrecht base saturation testing and preferably Reams/Lamotte testing. Crop Services International – These guys have been very helpful to me. They do the exact kind of testing I’m looking for. Dr. Philip Wheeler and Ron Ward run the soil testing services, and they wrote an amazing book on soil management called The Non-Toxic Farming Handbook. International Ag Labs – These guys are also at the forefront of helping farmers and gardeners produce high-brix food. I enjoyed Dan Skow’s book Mainline Farming for Century Twenty-One. I’ve tested through them, as well, and Jon has been good to answer some of my questions. Either of those labs will help you analyze your results, but if you want to learn how to do it yourself (which will save you money as well as helping you learn a whole lot more about your soil), one of my favorite books on the topic is The Ideal Soil. Any questions about soil testing labs? Let me know below. My understanding is that soil samples are taken by removing the top two inches of soil/sod and sampling a profile from the 6″ beneath that. (The top layer has more organic matter and you are looking for soil.) Then you dry it out completely and mix all sampled areas and include about 1 litre in a clean bag with notes on the soil (date, where taken). Also fall is the best time, I have heard, but can’t remember why. You’re right, it’s good to remove lawn, mulch and organic debris. Other than that, I want to go right up to the surface because that’s where my plant roots are growing. It’s okay that there’s more humus there.It’s usually not necessary to dry it out, but will save shipping costs. 2 cups of soil is generally plenty. Many soil consultants prefer fall, but spring is fine, too. Thanks for your insights. Thanks so much for posting this. I’ll be getting a sample analyzed this fall. Can you explain the Cation Exchange Capacity? The CEC basically refers to the ability of the soil to attract, hold and release positively charged nutrients like calcium, magnesium and potassium so they don’t leach out. Since a majority of minerals in the soil are cations, it’s important to have a high enough CEC to retain them. Clay and especially humus contribute to CEC, but sand and silt don’t help at all. Have you heard of Dr. Elaine Ingram and the soil analysis done at her labs ‘Soil Foodweb Inc? If you have, what do you think of the methods used there? Yes, I’m a big fan of Soil Foodweb analysis. I still tend to opt for a mineral analysis before the biological analysis that they do, but if I were doing a really big food garden, I would take the time to do biology testing and be prepared to do what’s necessary to improve my biology based on that testing. There has to be somewhere in Europe, but it might take a little searching to find it, such as searching for:-organic soil testing labs europe-biological soil testing labs europe-base saturation soil testing labs europeI just found one in the UK, but I’m sure there are more, maybe even one in Romania or at least closer to you. The importation of soil in the U.S., even for testing, requires a permit. Otherwise it it. Prohibited. Indeed. Some labs will provide that documentation for you. On my soil testing form, under the request for recommendations, should I select “Sustainable” or “Certified Organic”? I would like to know what organic materials to add to my yard, so I’m guessing “Certified Organic” is the choice for me. Right? For the tests themselves, I’m selecting “CEC” and “LaMotte.” My total is $77. That sound about right? Thanks! Yes, your selections are right. As for ‘Sustainable’ vs ‘Certified Organic’, it’s up to you. ‘Sustainable’ means they will suggest some chemical fertilizers, but only those that are really helpful for boosting plant health and that also will not harm the environment. I actually have no problem going that route, because my #1 goal is nutrient-dense food. I will say that it can sometimes be difficult finding where to purchase some of those specialty synthetic fertilizers, but the same can be said for some organic fertilizers, too. We live on forest property in NW Oregon. We have a large number of Rhododendrons that are 20 years old and are showing yellow leaves. We want to use one of the two soil testing labs that you recommend but I am not sure what tests to ask for. Originally we were just going to ask for a PH test but it seems we need more information than just PH. What tests would you recommend we perform to get our Rhododendrons healthy? 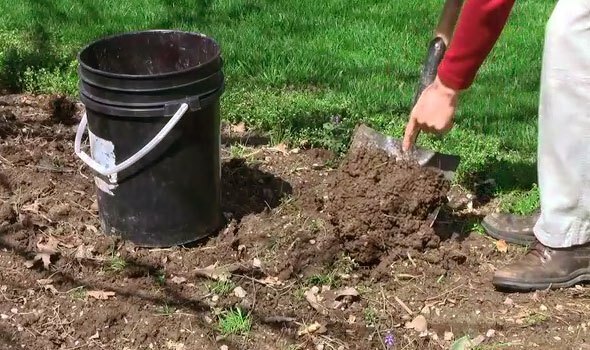 in addition to soil testing you could root a couple of cuttings and plant in a pot (to rule in/out soil conditions).